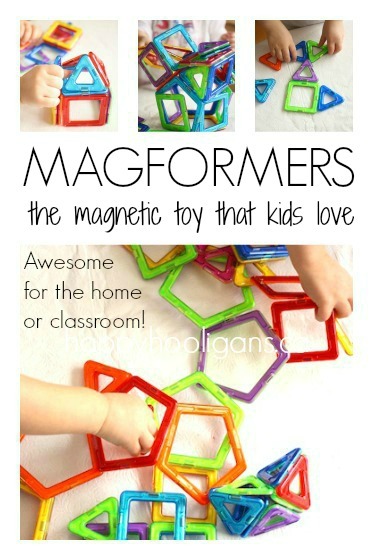 Magformers: fun, educational, magnetic building shapes that are perfect for home, daycare, preschool or the classroom. For your convenience this post contains affiliate links. Several months ago, we had the great pleasure of receiving this 62-piece Building Construction Set from the lovely folks at Magformers. Have you heard of Magformers? Oh my goodness. I cannot say enough about them. 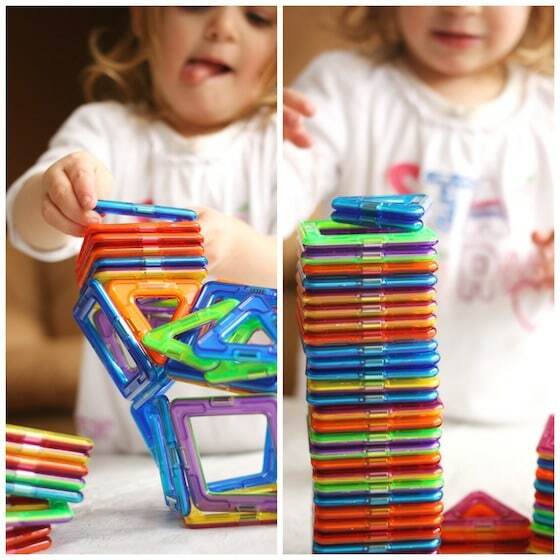 They’re colourful, sturdy, plastic shapes that you build with. Squares, triangles, pentagons etc. ; you can get all sorts of shapes and sizes, but here’s the best part: they’re MAGNETIC. Hold ’em close to each other and “click!”; they snap together allowing you to build all kinds of fabulous structures with them. I suspected that we were going to love them because my Facebook followers always rave about them. 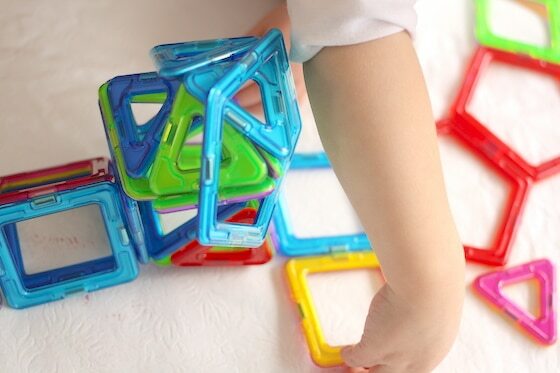 Many teachers say that Magformers are the most popular toy in the classroom, and lots of parents claim that if they could keep only one toy for their child, it would be their magnetic blocks. You can imagine how excited I was when I found out we’d be getting a set of our own. I couldn’t wait to try them out to see what all the fuss was about. Guess what. Magformers are every bit as awesome as everyone said they would be. We love them! 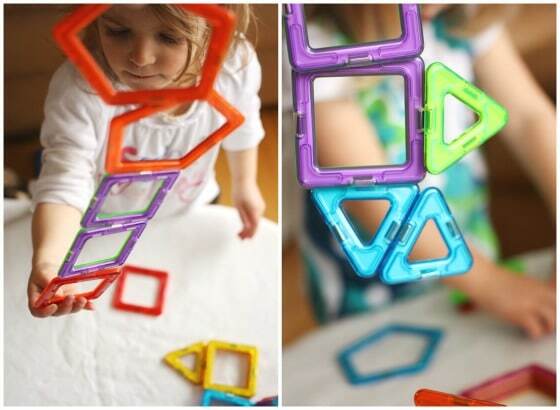 They’re really durable, totally fun and educational, and the magnetic quality is top-notch! 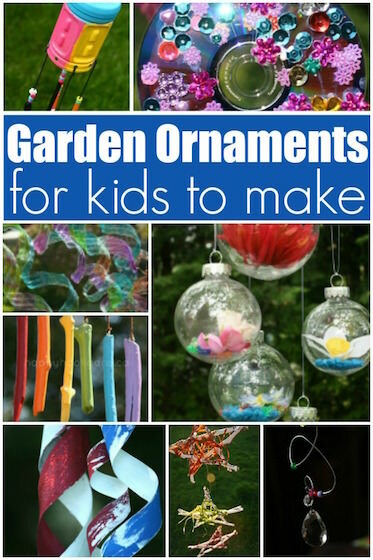 These things really “stick” and the building possibilities are endless! Gosh, is there anything more exciting than the UPS guy ringing the doorbell when you’re expecting a gift? It’s like waiting for Santa on Christmas Eve. The girls were practically busting by the time our packaged arrived. They had no idea what was inside, but I’d told them we were expecting a special surprise just for them. The ooohs and aaahs filled the room as they tore into the box. At first, they weren’t quite sure what they were looking at, but they were intrigued by the shapes and colours. Quite honestly, I was just as excited as they were. I couldn’t wait to get my hands on those shapes. 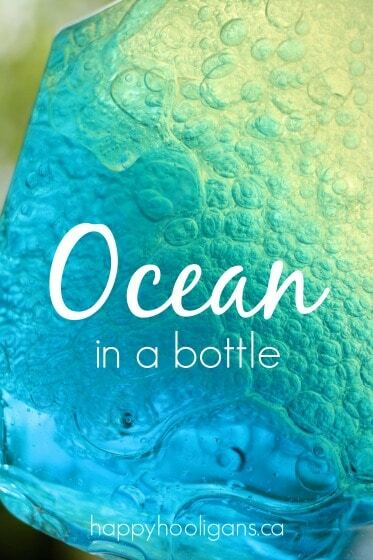 Look at the colours! Aren’t they gorgeous? Straight out of the box, the shapes were all perfectly stacked together, so we set about separating them. I was immediately impressed by the strength of the magnets. So were the hooligans. It’s almost magical the way the shapes snap and click together. 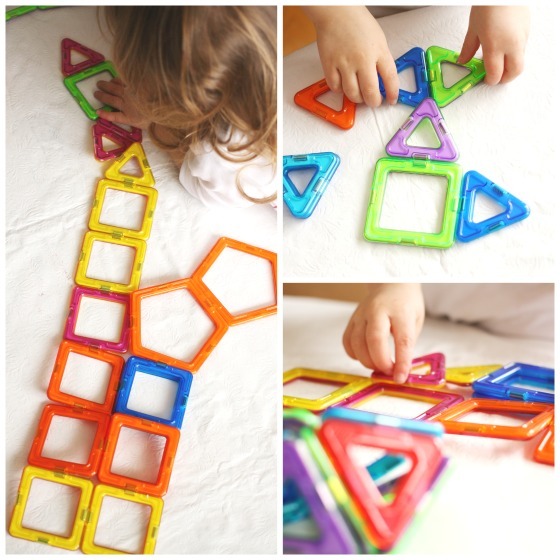 You may be familiar with other magnetic tiles and building blocks. I haven’t tried other brands, but many of my followers have, and a lot of them say that Magformers are right on par with similar magnetic tile sets as far as quality goes. The bonus is that Magformers are less expensive than some. With the blocks separated, the girls started exploring them horizontally, laying them out and creating flat designs on the tabletop. They’re so easy for little hands to use. They snap together beautifully, and the magnets always attract. You simply hold two shapes close together and they connect instantly the moment they touch. 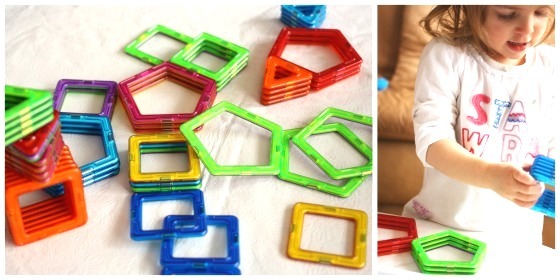 Playing with these shapes encourages critical thinking, deductive reasoning, and it gets children thinking scientifically and mathematically all while exploring their creative side. There’s a great opportunity for children to learn new vocabulary here too as you discuss triangles, prisms, pentagons and cubes. It didn’t take long for the hooligans to discover that they could make 3-dimentional structures as well. This is where the fun really begins. It was so neat watching the kids discover what they could make by putting different combinations of shapes together: snap a bunch of squares together and you get a cube. Top that with 4 small triangles, and you have house. They loved how they were able to un-hinge one side of a shape to create a swinging doors or window that would open and close. We built some really cool 3-dimentional structures: rockets, pyramids, stars, a soccer ball, and all kinds of wild and wacky creations. We even made some hanging structures. What makes Magformers so unique? 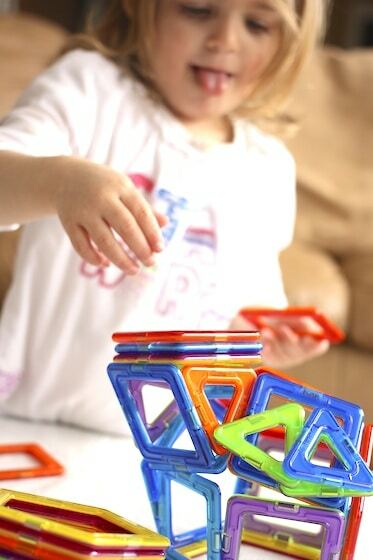 Magformers use rare neodymium magnets – the strongest magnets in the world. This is why Magformers are more expensive than a regular magnetic toy. These magnets float freely in the plastic they’re encased in. The magnets can actually rotate so they always connect. This is great because you never have the frustration of the magnets repelling each other. You can get more shapes too! 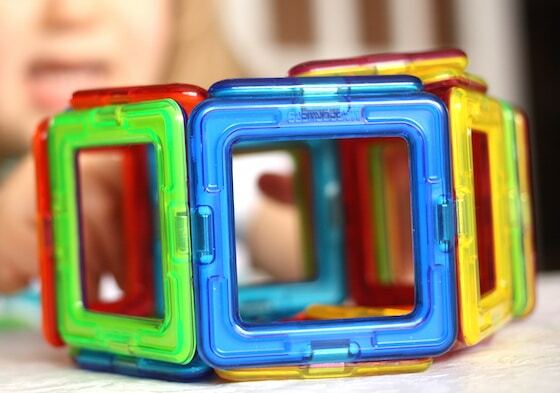 Magformers are available in 14 geometric shapes, 9 colours and 65 total components. There are currently 31 sets available as well as a Magformers Math Activity Book . There are FIVE brand new themed sets for 2014! I can see why Magformers are so well-loved by kids, parents and educators, and why they’ve won many awards. In 2007 they received the Openheim Toy Porfolio Platinum Award and were awarded the BEST TOY FOR KIDS award two years in a row as well. No surprise. They really are fabulous. The hooligans play with our Magformers every day here in my daycare. From the toddlers right up to my own teenagers; everyone loves them. 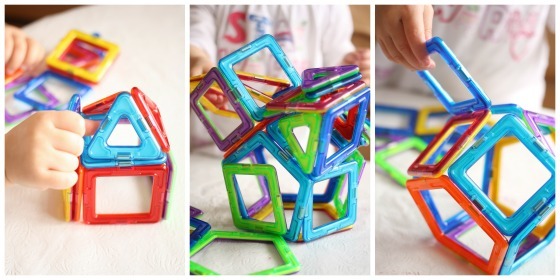 I love an open-ended toy like this because of the opportunity it provides for a child to really use his or her imagination. 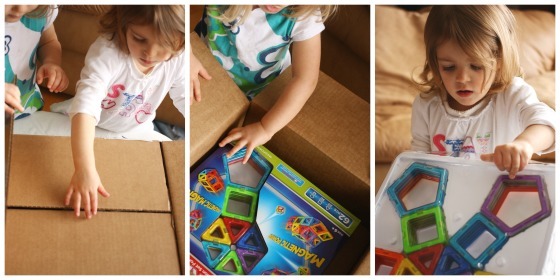 If you’re looking for a terrific toy to buy for a child for Christmas or a birthday, Magformers are a big winner in my book. 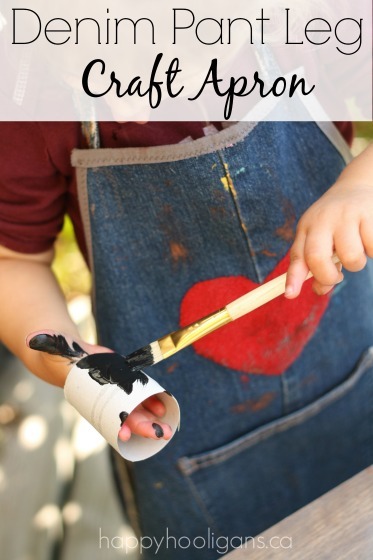 And if you’re a teacher or a carer thinking of splurging on a new special item for your classroom or daycare, I would highly recommend getting a set or two. 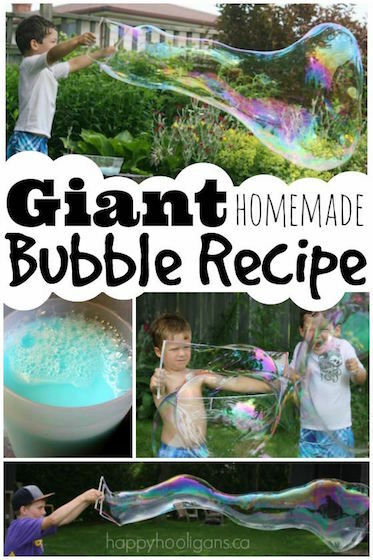 They’ll provide countless hours of enjoyment and learning. Or click here to see the entire Magformer collection . My son received these for his 6th birthday a few weeks ago and it was his FAVOURITE gift!!! I love them! But in my opinion the large sets are very expensive! We splurged and bought these for our kids for Christmas. I was hesitant because they’re expensive. But quickly realized how much my kids love then, and they are truly something you can save for your kids to pass on to their own kids.